The Ikea Wireless Charging Collection of furniture. 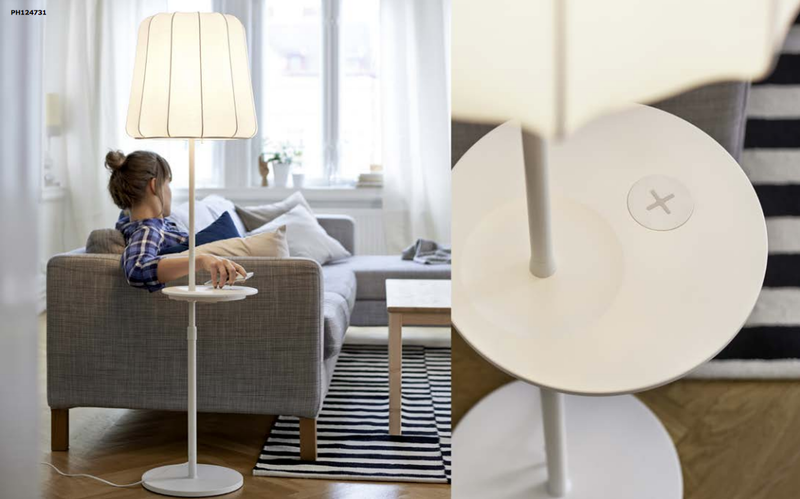 The furniture, and other items in Ikea's wireless charging collection, ranges in price from $9.99 to $119. "With smartphones becoming such a natural part of our lives, we wanted the charging part to become a natural part of our homes," Holly Harraway, Ikea's lighting sales leader, said. 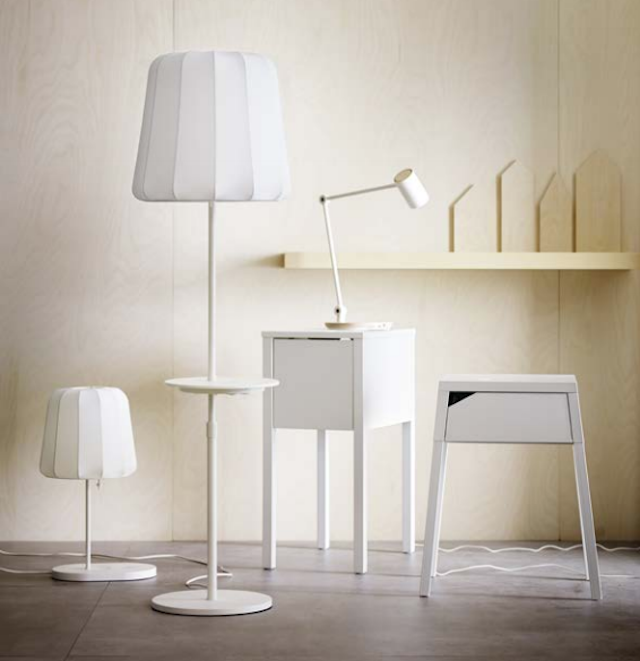 Ikea's wireless charging floor lamp. The collection also includes a desk lamp. Users can check whether their mobile phone is compatible with the Qi standard at the Wireless Power Consortium's this website. The WPC with its Qi specification is up against two other industry organizations with their own wireless charging protocols: the Power Matters Alliance (PMA) and the Alliance for Wireless Power (A4WP. 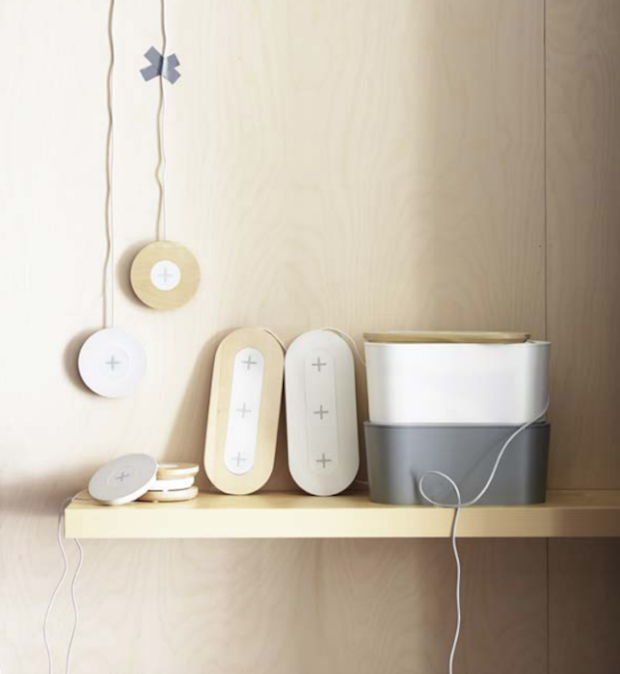 Ikea is also selling DIY kits for those who want to embed wireless chargers in their own furniture. The Qi spec transfers 5 watts of power for enabled mobile devices, such as the Galaxy S4 and S3, Nokia Lumia 1020, LG G2, Motorola Droid Maxx and Mini and the Google Nexus 5 phone and Nexus 7 tablet. 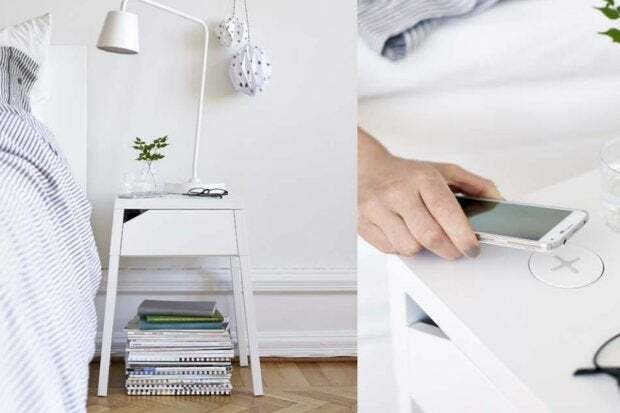 If a smartphone does not have native wireless charging capability, such as an iPhone, users can purchase a VITAHULT charging cover (for Apple iPhone or Samsung Galaxy only), or other Qi-enabled covers for use with the Ikea wireless charging furniture. Ikea is also selling stand alone wireless charging pads.